Wotofo Flux kit orginal price is $94.99, now it's only cost from $34.99- $55.99 UP TO 50% OFF & BIG SAVINGS FOR EACH NOVEMBER DAY! Wotofo Profile RDA orginal price is $32.9. Now 1 Proile RDA + 2 boxes mesh coil + 2 boxes agleted cotton only cost $22 - $36. Wotofo are having a 24 hour sale for 11.11 (a November 11th Sale). This started officially at 00:00am in Beijing which was at ~4pm GMT. 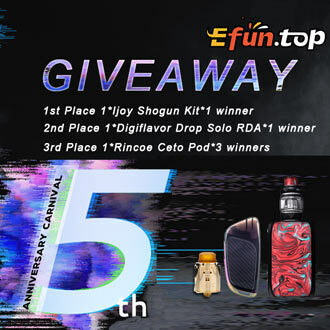 The firist batch of buyers will be able to use a code for 50% off any Wotofo RDAs, Vape kits and everything else sold on Wotofo.com.